The decision to undergo hip arthroscopy surgery is not an easy one to make, and it should consider several questions. Some may include – How do I maximize my long-term hip health? How do I get the best rehab for my hip? What are the pros and cons of a surgical vs. conservative approach? These are big questions, and I’ll be working to answer those in future posts. However today, I want to give you a concrete list of questions to ask your surgeon before considering hip arthroscopy. A surgeon should be happy and open to answering these questions in order to assure your best care, and to include you as an equal partner in decision-making for your healthcare. How many procedures do you do like this per year? In a study Dr. Derek Ochiai performed in 2010, he reports that “looking at both novice and experienced surgeons, it took a minimum of 50 hip arthroscopies per year before a surgeon even planned FAI surgery in a similar way to a surgeon who performs more than 200 hip arthroscopies per year.” Another example is Dr. Allston Stubbs, a hip arthroscopy specialist in North Carolina, who performs well over the national average of 200 scopes per year. You want to seek out a surgeon who specializes in hip arthroscopy and that has a minimum number of surgeries that rivals the national average in order to maximize your chances for a best outcome. What percentage of cases involve FAI osteoplasty (reshaping the bone of the socket side (acetabulum), the ball side (femoral neck), or both? And, also ask what percentage of cases involve suture anchor labral repair. In the case of surgeon Dr. Ochiai, he states that, “in younger patients the percentage of cases where he performs FAI osteoplasty and labral repair for a symptomatic labral tear is greater than 95%. It is extremely rare for me to perform a labral debridement alone.” For this reason, I again highly recommend seeking out a surgeon who exclusively specializes in and performs hip arthroscopy. What is your rate of complications during surgeries that you have done, and what type of complications are injuries are they? Typically, nerve injury to the pudendal nerve or lateral femoral cutaneous nerve, due to traction forces, duration of traction during surgery, or entrapment, are the most common risks. However, that risk typically remains low, reported at about 20% or less. Additionally, the injury is usually transient, spontaneously resolving after surgery without any lasting consequences. Other complications, like dislocation, fractures, or secondary labral injury, are possible but low. What type of drugs and what dose to you prescribe after surgery? Why? There can be a veritable laundry list of medications that are necessary after surgery, with some surgeons prescribing or offering more than others. Most of these are to minimize risk after surgery, such as with nausea, inflammation, bony regrowth, blood clots, constipation, muscle cramping, and/or pain. Pain medications typically are short-lived and do not need to be taken long after surgery, especially since there is a risk of dependency. The other medications, some over-the-counter like anti-inflammatories or aspirin, should be judiciously prescribed by, and discussed with, your surgeon. Nausea and muscle cramping are also uncomfortable side effects from surgery and anesthesia. However, pharmaceuticals for them can also carry risk, like remarkable constipation and digestive issues. There may be safer alternatives to these drugs, like addressing proper hydration, physical therapy, and nutrition, which could make it possible to avoid these medications and their complicating side effects. Stronger prescription anti-inflammatories and anti-clotting medications may be very necessary due to the type of surgery done; therefore, it is important to adhere to the plan of care concerning these drugs since they can affect your surgical outcome and lower your risk of dangerous blood clots. What is your average recovery time? Recovery time can widely vary, however, this is not well addressed in the literature to date. For example, a 25 year old professional athlete will have a vastly different rehab schedule and recovery time that a 42 year old postpartum mother who suffered the injury as a result of pregnancy. See the huge difference? Typical post-surgical protocols last only 4 months; however, there has not been a single patient I have seen that required a mere 16 weeks of physical therapy. All the patients I have seen or discussed rehab with, including my own rehab, took between 12-18 months to fully return to activity and feel like yourself again. Do you prescribe or recommend pre-hab (physical therapy before surgery)? Why or why not? As an orthopaedic physical therapist specializing in the hip, I 100% believe that pre-hab is not only incredibly helpful, but absolutely necessary. It can cut down on recovery time after surgery, improve safety and reduce re-injury risk not only immediately after surgery but in the long-term, and reduce out-of-pocket expense for the patient. I would highly recommend seeking out a surgeon who also believes in conservative therapy and its value. How soon does PT start post-surgically? PT should begin before leaving the hospital, for things like transfers education, assistive device and stair training, and general intervention that will reduce nausea, constipation, and pain. After getting home, PT can begin right away – of which over 90% will be passive therapies prescribed to improve healing, reduce pain, and improve your comfort and ability to sleep, move through the house, and complete activities of daily living. If you do not have someone to drive you to PT, you may be eligible for home health PT services. When starting outpatient rehab, you will begin with more frequent visits, which may include your family members – to teach them how to help you get in/out of bed or a chair or car (especially if you are on crutches and nonweightbearing or foot-flat weightbearing(no more than 20# on surgical leg, typically) for 4-8 weeks after surgery), and to also help you passively range/move your hip therapeutically. Visits may be as often as three times a week for the first several weeks, then may taper down to 1-2 for several months, depending on type of surgery and progress. How many of your patients return to full sport and activity post-surgically? When? How do you track their progress or follow up with them? Post-op rehab typically required a minimum of 4 months of intensive therapy, followed by continued home-based work and possible adjunct PT for another 6-8 months. I can say with confidence that especially in more complicated cases, such as pelvic or women’s health issues that may have accompanied the hip injury, rehab can be expected to take longer, up to a year or more, before feeling “your normal self” again. Returning to prior activity is a common question I field – and the answer to that depends on many variables such as: 1) extent of labrum injury (the more razed the labrum or surrounding bone, the less likely the repair can be done neatly and with a good long-term outcome), 2) the age of the patient, as well as gender. Younger patients don’t always necessarily do better, but the physiological age of a person (i.e. how well they take care of themselves, respond to stress, nutritional habits, sleep quality) matters most. Gender can complicate issues since pregnancy is a risk factor for labral tears, and the accompanying debility and physical strain that is exacted by pregnancy can complicate recovery. Monthly cycle patterns, I have noticed in hundreds of cases, also complicate recovery and return to activity. 3) The health of the person prior to surgery. Variables like nutrition, sleep, and stress response have an enormous impact on quality of life, as well as outcome of surgery. The gut microbiome also plays an enormous role in recovery as well – so nutrition, sleep, and stress response – as well as a well-colonized gut with “happy” probiotic bacteria, should be addressed pre-surgically. 4) The physical status of the person, as well as her/his mental outlook and health on life. 4) Healthcare professionals who follow best evidene practice. Surgeons and therapists who use standardized outcome measures or inventories to track progress and ability to return to sport, are following best evidence practice. 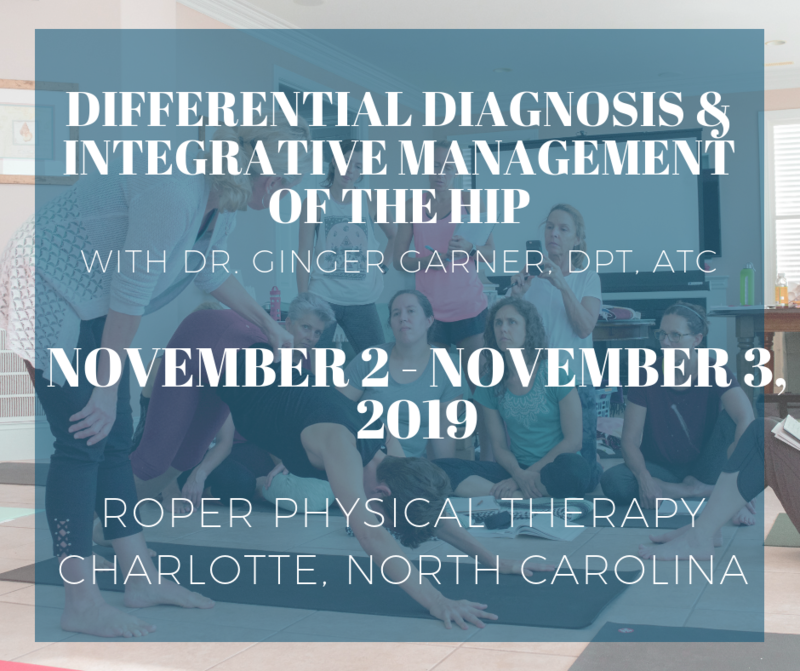 For example, there are currently no therapy inventories that are exclusively validated for the hip – but tests like the Vail Sport Test can be adapted for use with the hip to help a therapist determine when/if a person is ready to return to regular activity or sport. It should also be noted that those inventories should not be the ONLY measure used to determine discharge from rehab. Functional tests and measures should also be used. These are certainly not the only variables, but they are perhaps the most important ones when it comes to enjoying a best-case scenario outcome. What is your follow-up routine after surgery? Unless you are a healthcare provider who can remove sutures, you will return to your surgeon within a week to 14 days to have your sutures removed. After which there are typically 1-2 return visits (or more, if there are complications or the surgery (such as osteotomy or osteoplasty) was more complex, to monitor progress and also make recommendations or suggestions for weightbearing restrictions or precautions. Your physical therapist will have vital information to share with the orthopaedic surgeon, so you want to make sure your PT sends the surgeon progress notes, and that the surgeon actually reads the PT’s notes. The BEST hip arthroscopy outcomes require a team approach – and that means having the surgeon and therapist maintain close contact and discussion concerning your care. This should be a minimum standard, however, in many cases this does not happen. Ask your surgeon and PT about communication, and also ask your surgeon about how many visits are typical for surgical follow-up. You deserve the best care possible, which includes good continuity of care and communication between your healthcare providers. Good luck and best wishes on your journey for a successful surgery and return to the life you want and deserve. And if I can give you a parting tip – Remember, stay positive, because your body hears (and responds to) everything your mind says. Questions? Comment below or connect with Dr. G via the contact page. Hi there – I would love your opinion on timing of surgery. I have two kids already and believe that after my first kid four years ago I got a labral tear. I started to have hip pain which got worse with my second birth. I have been now officially diagnosed with labral tear, fai and some cartilage damage and my doctor recommended surgery. I am also planning to have a third child right now (I am 39). Would you recommend to wait with the surgery after the third baby or do it before. My doctor said, that he sees no issues getting pregnant right after the surgery. Thanks! Hello there and thanks for stopping in to read! I am glad my blog has been of some hope and help. To answer your question – here is an answer I had posted before, see if this helps! Apologies for the long delay in response, but you caught us right as we were leaving for the Christmas and New Year Holiday. First, I am so sorry you have a confirmed tear, but I do understand the trauma and it’s cause. I suffered a birth injury that led to my eventual hip surgery, which was more than a 5 year journey in all. The good news – I emerged from it all greatly improved and able to return to activities I had long abandoned and thought were no longer possible. Second, your ob-gyn is correct, the pain could increase. However, I would not focus on that, lest it become a self-fulfilling prophecy. Rather, I would focus on pain-free function, strength, and endurance. A PT that specializes in hip labral tears/FAI can help you optimize your hip outcomes there. Third, if you wait until after your pregnancy to have surgery – I cannot predict what will happen. No one can. To have surgery before becoming pregnant could be prudent, however, it is a long recovery, and your success depends on the quality of your surgeon, the surgery, your hip (no arthritis or any other major chrondral/bony deficits is best), and finally – your physical therapy. A great surgery can be undone by poor rehabilitation, just like a poor surgery cannot be fixed by excellent physical therapy. You need both to have the best outcome. It could take as little as 4 months (See my blog on this as 4 months is rarely possible except for young, elite athletes – the rest of us need a more realistic, “we live in the real world” time frame) http://www.gingergarner.com/2015/02/12/hip-labral-qa-long-recovery-take-surgery/) or like me, as much as 18-24 months. Lastly, so far as care of your children – I would seek out maximal support and take the most time off of work that you can. I did not, but quickly resolved the issue with support from colleagues and family. I now think that getting more support was the BEST thing I could have done – short of finding the best colleagues possible to do the surgery and help me carry out the rehab – to assure the BEST outcome for the surgery. I hope this has helped – and if I did not answer all your questions – don’t hesitate to respond to this reply. Best wishes for you and your full recovery and plans! Thanks a lot! I really appreciate your response. I decided to go for the surgery and then to see how I feel in terms of being ready to get pregnant. That sounds like a smart plan! Good luck to you and prayers for your full, expedient recovery to recognize your future plans! Doing some research, before i make the decision to have arthroscopy. I have 2 labral tears confirmed by mra.. I have been suffering with hip pain, leg pain, groin pain for a while now. I am a bladder mesh injured 44 year old mom and wife. I am 2 years post op total mesh and anchor removal by a world renowned mesh expert at ucla, dr. shalom raz. i became totally incontinent after he removed the mesh( i had many mesh related surgeries prior to finding him) I live in tennessee. i went back to dr.raz and had repair surgery , he took a tendon from my thigh to repair me. it is called autologous fascia sling. i no longer have incontinence, or systemic issues. my hip pain is not bad all the time, just certain ways i move, but i limp very bad, getting up and down is very awkward, i have a hard time going down stairs, putting on my shoes, it feels very unstable. Im worried that i have some nerve damage. i went for physical therapy, i didn’t improve any, my legs shook really bad, jerked. i went to a physiatrist, he gave me a cortisone injection, no help. he has referred me to an orthopedic surgeon dr. yau in knoxville. i will be seeing him soon. could you give me your thoughts? i am sure i am complicated. mesh hurt me in many ways. dr.raz had to cut into my pubic bone to get the mesh and anchor out. mesh was in me 4 years, i had several partial removals in 4 years. i was blown off by so many doctors. people just have no idea how bad foreign body reaction can be. thank you. I’m sorry i ramble..
You are having quite a time, and I feel for you and the pain you are having. As both a PT and patient, I can understand your struggles, and if I were you, I would pursue the consult with the surgeon re: labral repair. If you have exhausted all forms of treatment, including regenerative medicine (prolotherapy, PRP injections), then surgery may be necessary. However, the rehab that is required is rigorous – meaning you need a PT that is excellently versed in caring BOTH for the pelvic issues AND the hip. I can help you find a therapist depending on where you live. I have several colleagues around the world who could handle your case once you are ready for rehabilitation. And no apologies necessary. That is what my site and blog is for – to give people seeking best fit healthcare a voice and a chance to be heard – and their problems addressed in a dignified and scientifically sound way. Thank you so much Dr.G. I am still waiting on the orthopedic consult, my physiatrist sent me for a lumbar spine MRI this past Thursday, along with the labrum tears, he thinks I am having some nerve issues.. there is definitely something going on. I just don’t feel right, it’s so hard to explain, the pain. have this burning type pain, the sides of my thighs get the jolts of pain, that can literally knock me to the ground. I go back tomorrow for those results. I keep reading about obturator nerve injury…??? I’m so confused. I just want to feel good and get down and work. The physiatrist didn’t think the injections(plasma) would help my problem, but I’m willing to try before I comment to a surgery.. 2016 was surgery and infection free.. I’ve had multiple surgeries ever year since 2011, with multiple infections. I will let you know what my mri results are. I had hip labral reconstruction on 2/8 with Dr Mather at Duke. I am at 4 weeks post-op and currently he still wants me PWB with both crutches, and wearing brace locked at 90 degrees. Doing well with PT, progressing everything slowly as we don’t want to irritate anything! I would love to be able to do a little yoga, I know I have to be very careful about positions etc… but was wondering if you had any ressources on very basic, yoga sequences that could be done in my case. Even if it’s sitting up! I just really enjoy the calmness after yoga and feel I mentally could benefit from this. Thanks for what you bring to the PT profession!! Congratulations on your success so far! So far as yoga goes – I do have some resources in my blog here: http://www.gingergarner.com/yoga-hip-labral-rehab/ and here: http://www.gingergarner.com/days-11-18-a-turning-point-hip-preservation-post-op/, where I begin to add yogic aquatic therapy into my regimen. Of course, this isn’t a prescription, it’s just an example of what I prescribed for myself post-op, and what would mesh with precautions at around the 2-3 week mark. You may have moved past this – but I tend to be proactively conservative toward therapy – no pain at all, abiding by precautions in order to optimize outcome. This is just a preliminary answer of course, I prefer to be able to individualize therapy versus giving out generalized sequences (which may not work at all). Hope this helps – and also please check out breathing sequences I have for free with a short registration (name and email) at http://www.medicaltherapeuticyoga.com.